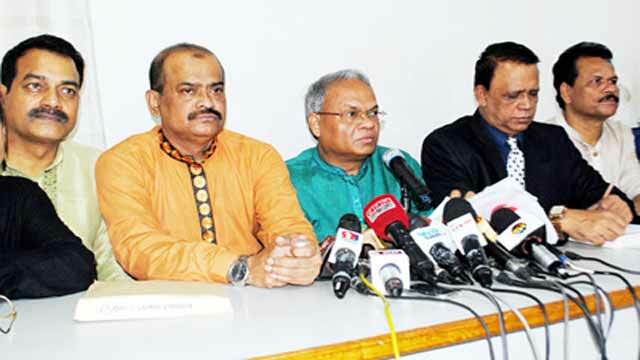 Dhaka, Dec 13 (Just News): BNP on Wednesday alleged that Awami League's student body Bangladesh Chhatra League (BCL) is forming its committee at the school level to build the 'superstructure of terrorism' across the country. "It's a plan to cripple the whole nation by destroying the education system," BNP senior joint secretary general Ruhul Kabir Rizvi told a press conference in the party's Nayapaltan central office. He said they were condemning such 'disgusting' move and urging the government to stop such 'destructive game'. The BNP leader also urged all to be united against what he said establishing BCL's countrywide terrorism network in the name of formation of school-level committee. Mentioning that two students, Shahab and Mahi, were killed due to BCL's factional feud in Moulvibazar two days ago, Rizvi claimed that violence spread among innocent students after the announcement of formation of BCL's school-level committee. Terming the recently issued Disciplinary Rules for Lower Court Judges unconstitutional, he said the judiciary has lost its independence due to such rules. The rules violated the Article 22 of the Constitution, which says that the State shall ensure the separation of the judiciary from the executive organs of the State. The BNP leader said the independence of judiciary was hampered for keeping the President's authority in the rules to appoint lower court judges. He also criticised the remark of Prime Minister's ICT Affairs Adviser Sajeeb Wazed Joy that Awami League will bag more votes in the next parliamentary elections than in the 9th national election. Rizvi said, "The Prime Minister's ICT Affairs Adviser said he conducted a survey through machine that Awami League will win the election with bagging greater number of votes. The machine he mentioned is 'Awami machine' and 'Bakshali machine'."